Sip your morning cup of coffee or evening drinks with friends while you sit at this bar table. The piece offers a square top with an easy-to-clean glass cover. A durable aluminum frame is designed to withstand the elements while showcasing refined tropical style with an Espresso Country color and woven design. The Havana Club Bar Table with Glass Top by Ratana at HomeWorld Furniture in the Hawaii, Oahu, Hilo, Kona, Maui area. Product availability may vary. Contact us for the most current availability on this product. Create your very own outdoor sanctuary with the refined tropical designs from the Havana Club collection. 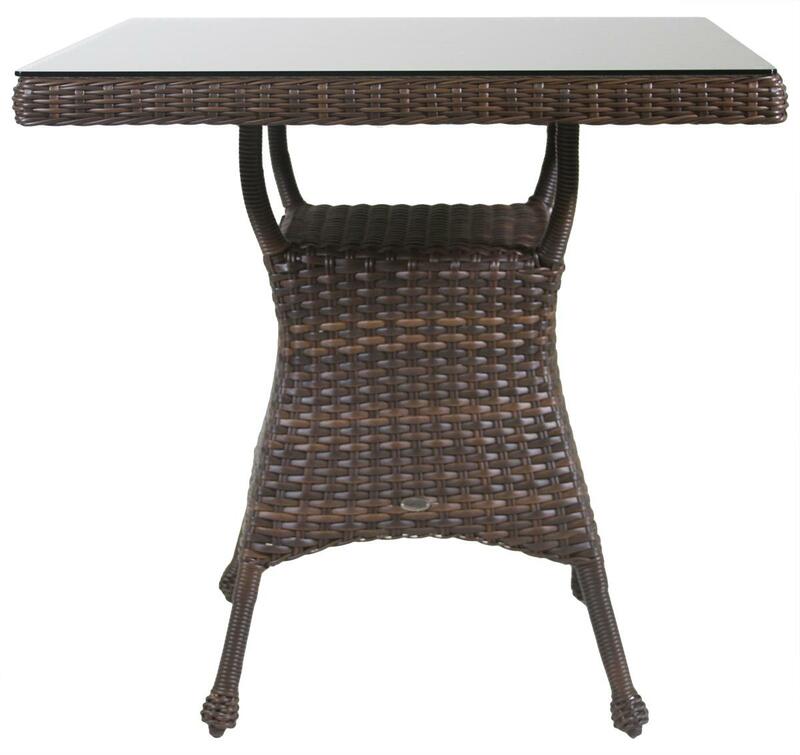 Pieces are built with durable aluminum frames that replicate the look of woven rattan. Seat cushions and pillows feature solution-dyed fabrics that won't fade in the sun and offer perfect comfort as you relax with friends and family. An Espresso Country finish ties each piece together for a sophisticated, yet classic look. The Havana Club collection is a great option if you are looking for Tropical Outdoor Furniture in the Hawaii, Oahu, Hilo, Kona, Maui area.